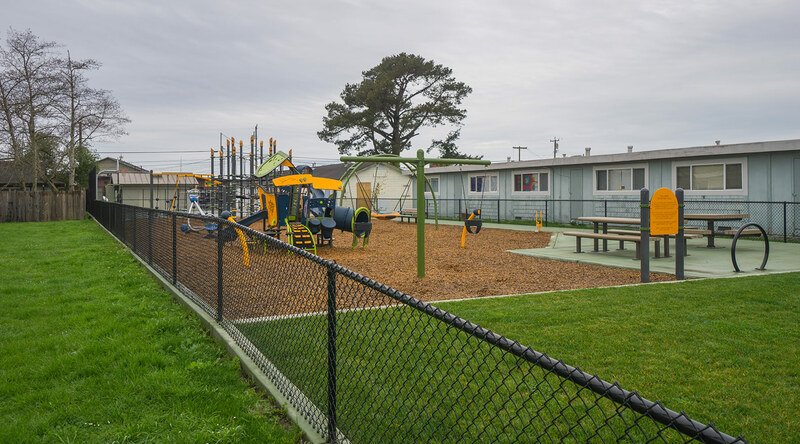 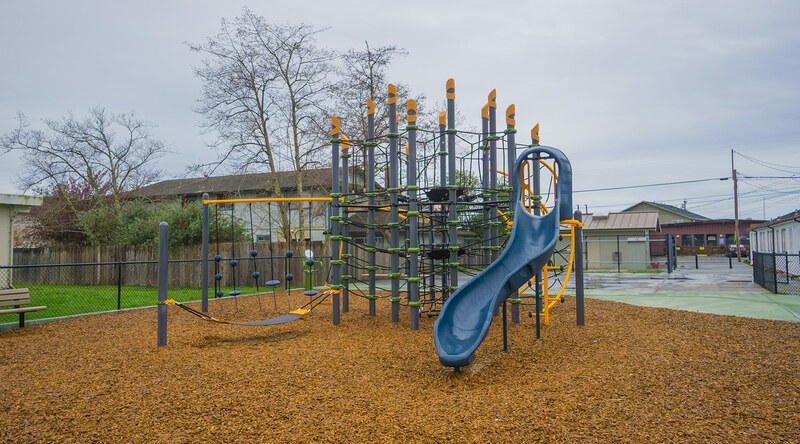 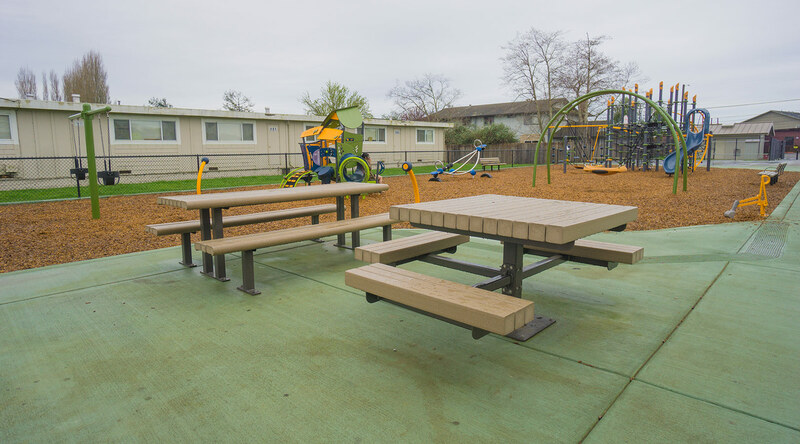 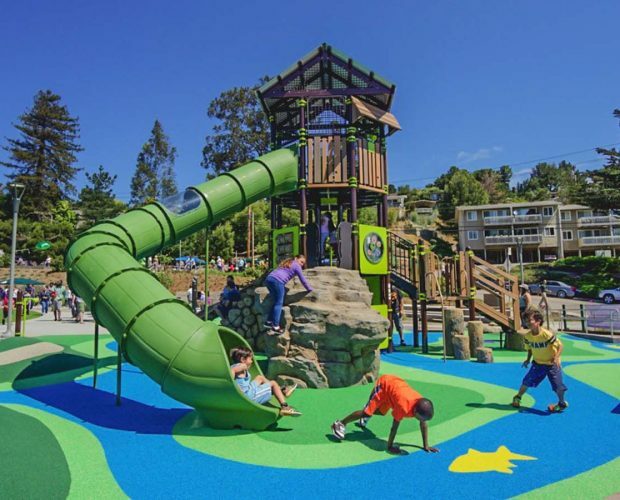 The City of Arcata wanted to bring to life a neighborhood park that serves many local families, to create a fun and safe place to play. 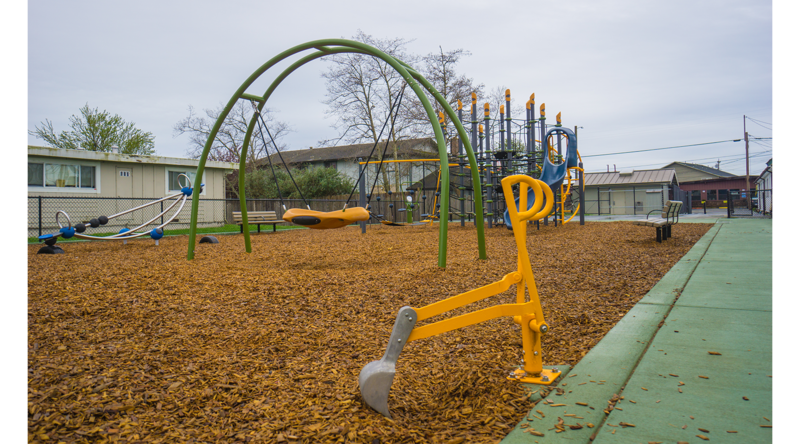 With help from the local Rotary club, city personnel installed all of the play equipment themselves saving thousands of dollars. 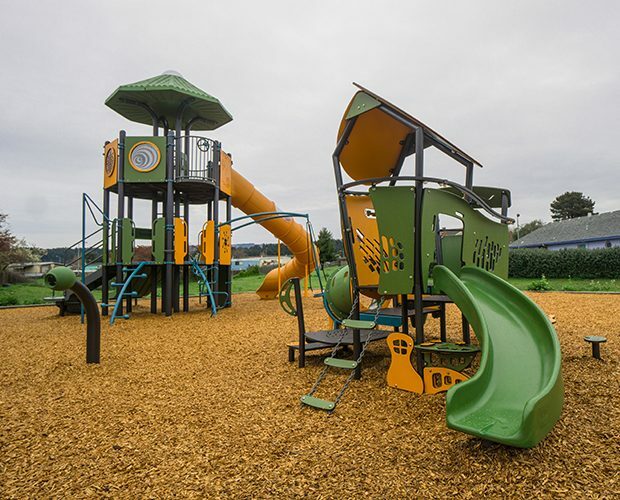 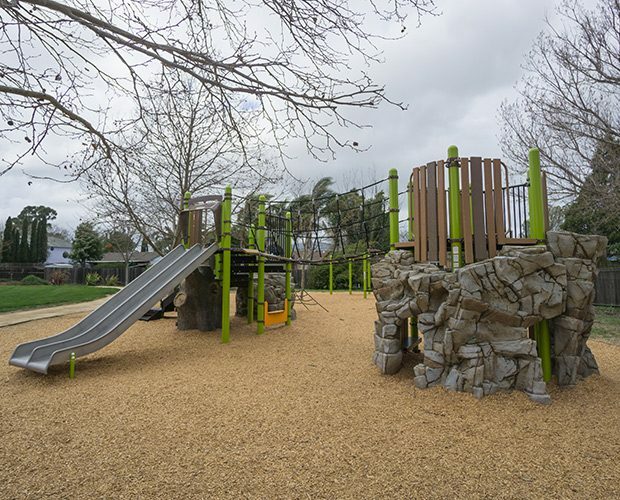 The design features a low-maintenance, high play-value Netplex™ climbing structure for school age children, a Smart Play®: Motion for tots, swings, work out equipment, a basketball 1/2 court and new picnic area. 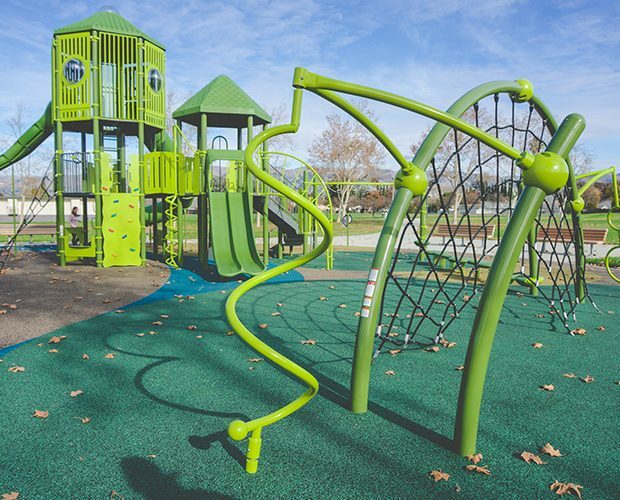 This small park packs a ton of play for kids of all ages!